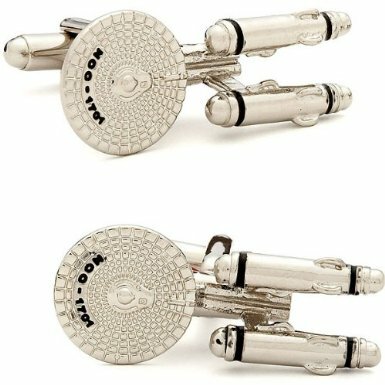 The Trek Collective: Cute Enterprise cufflinks! 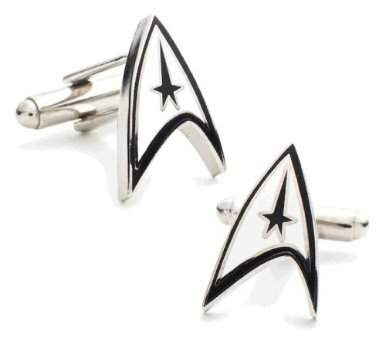 I came across these on Amazon; have you ever seen the Enterprise looking so cute! But take your pick; phasers, Klingons, live long and prosper hands! No Romulan emblems sadly though.